Asthma in inner-city children is often severe and difficult to control. Residence in poor and urban areas confers increased asthma morbidity even after adjusting for ethnicity, age, and gender. Higher exposure to household pests, such as cockroaches and mice, pollutants and tobacco smoke exposure, poverty, material hardship, poor-quality housing, differences in health care quality, medication compliance, and heath care access also contribute to increased asthma morbidity in this population. Since 1991, the National Institutes of Allergy and Infectious Diseases established research networks: the National Cooperative Inner-City Asthma Study (NCICAS), the Inner-City Asthma Study (ICAS), and the Inner-City Asthma Consortium (ICAC), to improve care for this at risk population. 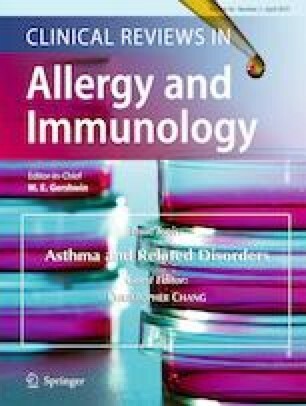 The most striking finding of the NCICAS is the link between asthma morbidity and the high incidence of allergen sensitization and exposure, particularly cockroach. The follow-up ICAS confirmed that reductions in household cockroach and dust mite were associated with reduction in the inner-city asthma morbidity. The ICAC studies have identified that omalizumab lowered fall inner-city asthma exacerbation rate; however, the relationship between inner-city asthma vs immune system dysfunction, respiratory tract infections, prenatal environment, and inner-city environment is still being investigated. Although challenging, certain interventions for inner-city asthma children have shown promising results. These interventions include family-based interventions such as partnering families with asthma-trained social workers, providing guidelines driven asthma care as well as assured access to controller medication, home-based interventions aim at elimination of indoor allergens and tobacco smoke exposure, school-based asthma programs, and computer/web-based asthma programs. This article does not contain any studies with human participants or animals performed by any of the authors. Informed consent is not applicable.